MobiAppGlobal World Team - Generate social media buzz with SocialBee - Lifetime Deal! Generate social media buzz with SocialBee - Lifetime Deal! 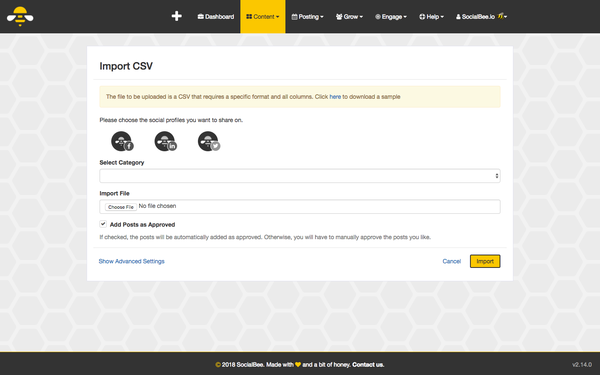 SocialBee is an all-in-one social media tool that lets you schedule posts, grow an audience, and engage with followers. 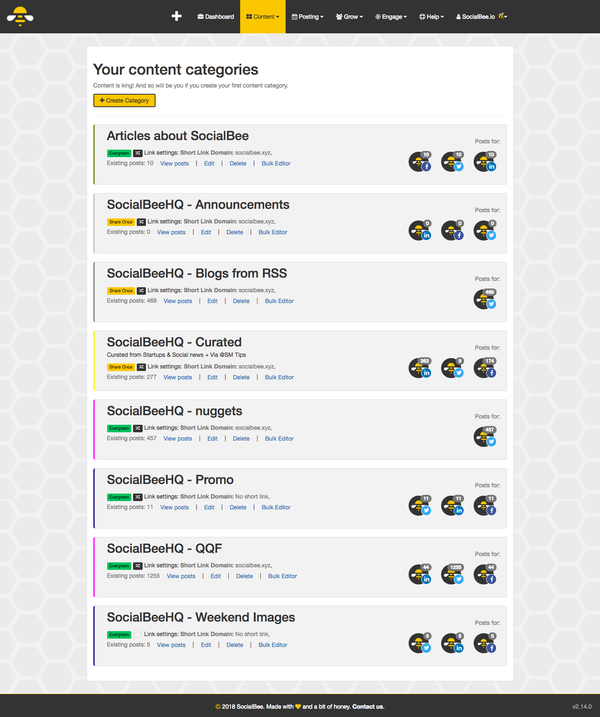 SocialBee specializes in three areas: content, growth, and engagement. Not only will you be able to post content automatically, you'll be a better poster. In addition to content categories, SocialBee has evergreen posting (auto-recycling of popular legacy posts), separate schedules for each social profile, time-specific posting, and RSS import, so you can stay on top of the content game. If you already know what you’re importing is good to go, just click “add posts as approved” so it can go straight to the queue. Finding accounts to follow has never been easier. So many ways to pick your targeted audience! 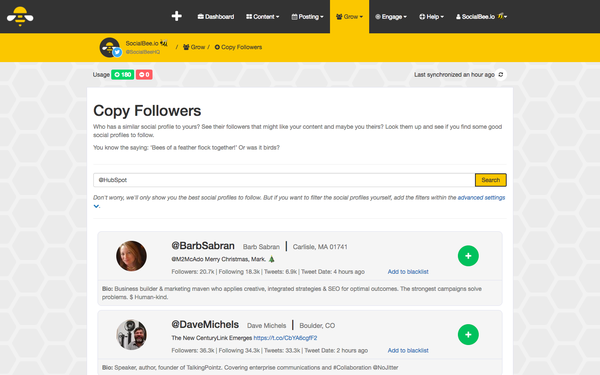 With SocialBee's engagement, you can send automated mentions and messages, personalized messages with follower details, and targeted mentions using the same filters as you used to follow people. 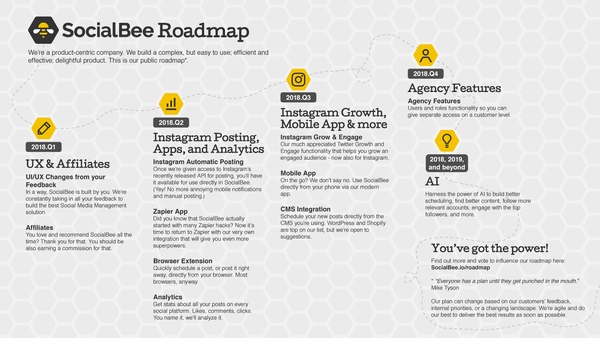 Currently, users who are ramping up their social profiles with the SocialBee Accelerate Plan are paying $588 per year. But, right now, MAG Fans can get lifetime access to the Accelerate Plan for just $49! You read that right! This is lifetime access for what most people pay per month! And it gets better: this lifetime deal includes all future updates and features added to the Accelerate Plan! Get your growth on with SocialBee! 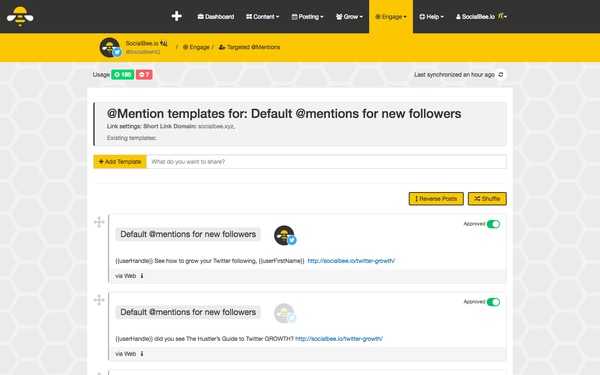 With SocialBee, you no longer have to use multiple tools to grow your following. While other tools do a decent job of performing specific tasks, they don’t integrate with each other, causing you to waste a lot of time (and money). SocialBee eliminates this problem by providing you with one, powerful, easy-to-use tool. And, on top of an already great tool, the SocialBee team is dedicated to customer happiness and is continually finding ways to implement customer ideas and suggestions. If you’re looking for a standalone, do-it-all social media tool, look no further. This bad boy will turn your feed into a constant source of entertainment and information, helping you earn a ton of new fans. So, make the small investment of $49 and watch your social media status skyrocket. Get lifetime access to the SocialBee Accelerate Plan here!